77 Dubai Police women officers pulled a Boeing 777-300R for over 100 metres. They broke a world record and were presented a Guinness World Records certificate. Dubai: Dubai Police women officers have broken the Guinness World Record by pulling an airplane for over 100 metres as part of the 30-day Fitness Challenge. And not just any airplane, a Boeing 777-300R, which weighs around 240 tonnes, or 240,000 kilograms was pulled by 77 officers. On their official Instagram account, Dubai Police shared videos and pictures from the event, which was held this morning. As part of the Dubai Fitness Challenge, which ends on November 24, they took on this feat and succeeded. 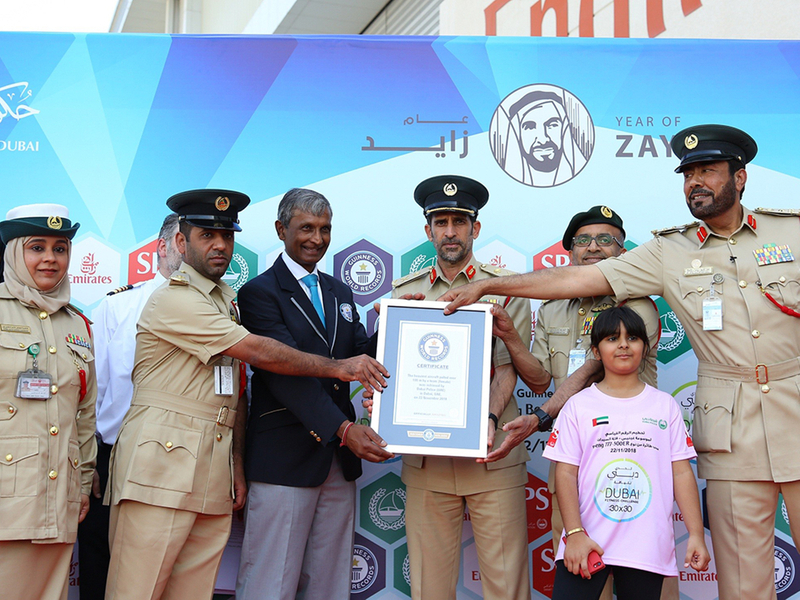 A delegation from the Guinness World Records was present on site and awarded a certificate to Major-General Abdullah Khalifa Al Merri, Commander-in-Chief of Dubai Police. According to an official release by Dubai Police, Major-General Al Merri praised "the efforts of the team of the initiative, with the participation of Emirates as a strategic partner".